When France both hosted and won the World Cup in 1998, the face of its star player, Zinedine Zidane, the son of Algerian immigrants, was projected onto the Arc de Triomphe. During the 2006 World Cup finals, Zidane stunned the country by ending his spectacular career with an assault on an Italian player. 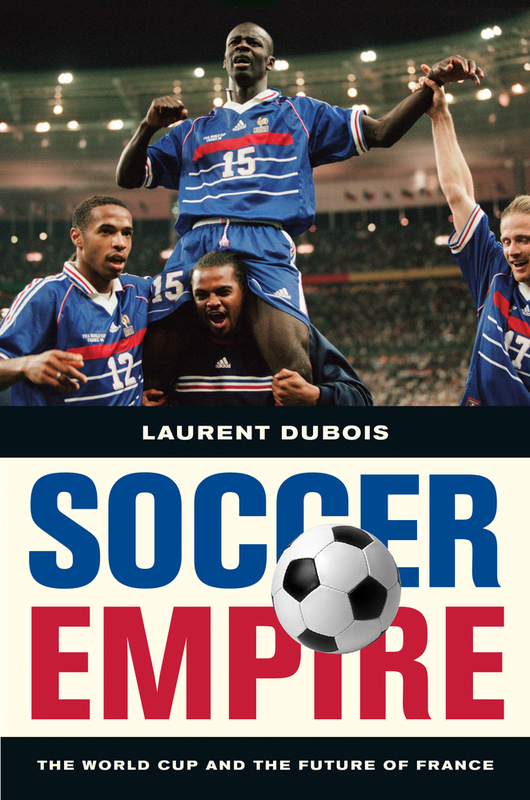 In Soccer Empire, Laurent Dubois illuminates the connections between empire and sport by tracing the story of World Cup soccer, from the Cup’s French origins in the 1930s to Africa and the Caribbean and back again. 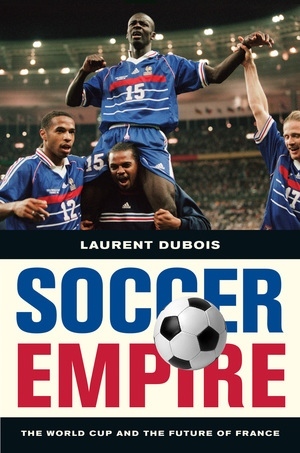 As he vividly recounts the lives of two of soccer’s most electrifying players, Zidane and his outspoken teammate, Lilian Thuram, Dubois deepens our understanding of the legacies of empire that persist in Europe and brilliantly captures the power of soccer to change the nation and the world. Laurent Dubois is Professor of French and History at Duke University. He is the author of many award-winning books, including Avengers of the New World: The Story of the Haitian Revolution, which was a Best Book of the Los Angeles Times and a Notable Book of the Christian Science Monitor.